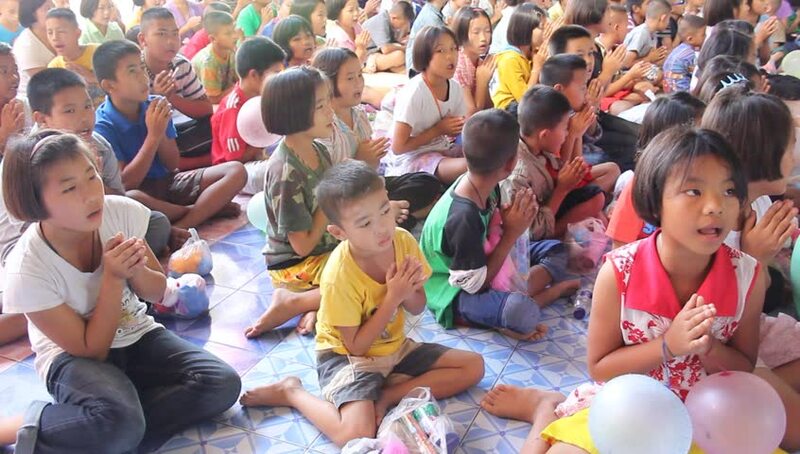 ANG THONG, THAILAND - CIRCA DECEMBER 2012: Orphans in Wat Tarn Jet Cho Temple are praying thank you for people who give them lunch. hd00:08Bangkok, Thailand - May 4, 2016. Many children watch a show at the circus in Bangkok, Thailand. hd00:18EVENTS IN LJUBLJANA JULIJ-AVGUST 2016 Musicians are talking to a young couple in the audience. The lady is laughing at something that a singer says. There are many people around in the park.